Beacon Health Options, Inc. (the “Beacon Health Options site”), including all information, software, products and services available from the site or offered as part of or in conjunction with the Beacon Health Options site, to you, the user, conditioned upon your acceptance of all of the terms, conditions, policies and notices stated here. 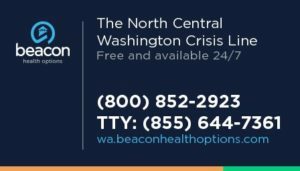 Your continued use of the Beacon Health Options site constitutes your agreement to all of these Terms and Conditions, and any changes to the Terms and Conditions made by Beacon Health Options. Beacon Health Options may revise these Terms and Conditions from time to time by updating this posting, with the new terms taking effect on the date of posting. You should review these Terms and Conditions every time you use the Beacon Health Options site because they are binding on you. IF YOU DO NOT AGREE TO THE TERMS AND CONDITIONS SET FORTH HERE, PLEASE DO NOT USE THIS WEB SITE. USE THE BEACON HEALTH OPTIONS SITE AT YOUR OWN RISK. THE BEACON HEALTH OPTIONS SITE IS PROVIDED TO YOU “AS IS,” WITHOUT WARRANTY OF ANY KIND, EITHER EXPRESS OR IMPLIED, INCLUDING, BUT NOT LIMITED TO, WARRANTIES OF FITNESS FOR A PARTICULAR PURPOSE, TITLE OR NON-INFRINGEMENT. BEACON HEALTH OPTIONS MAKES NO WARRANTY THAT THE CONTENT CONTAINED ON THIS WEB SITE SATISFIES GOVERNMENTAL REGULATIONS ON PRESCRIPTION DRUG PRODUCTS. UNDER NO CIRCUMSTANCES, INCLUDING NEGLIGENCE, SHALL BEACON HEALTH OPTIONS OR ANYONE ELSE INVOLVED IN CREATING, PRODUCING, STORING OR DISTRIBUTING THE BEACON HEALTH OPTIONS SITE BE LIABLE FOR ANY DIRECT, INDIRECT, INCIDENTAL, SPECIAL OR CONSEQUENTIAL DAMAGES AND EXPENSES WHATSOEVER (INCLUDING, WITHOUT LIMITATION, HEALTH PROBLEMS, LOST PROFITS, AND DAMAGES ARISING FROM LOST DATA OR BUSINESS INTERRUPTION) ARISING OUT OF OR IN ANY WAY CONNECTED WITH USE OF THE BEACON HEALTH OPTIONS SITE, DELAY OR INABILITY TO USE THE BEACON HEALTH OPTIONS SITE, OR FOR ANY INFORMATION, SOFTWARE, PRODUCTS OR SERVICES OBTAINED THROUGH THE BEACON HEALTH OPTIONS SITE, WHETHER SUCH DAMAGES ARE BASED ON CONTRACT, TORT, STRICT LIABILITY OR OTHERWISE, EVEN IF ADVISED OF THE POSSIBILITY OF SUCH DAMAGES. 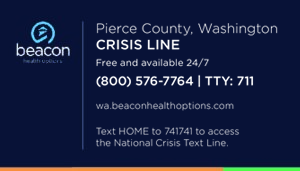 Unless otherwise prohibited under the terms of this Agreement, you are hereby licensed to create hyperlinks to the content of the Beacon Health Options site, provided that the hyperlink accurately describes the content as it appears on the site. Beacon Health Options reserves the right to revoke this license generally, or your right to use specific links, at any time, and may break any hyperlink at its discretion. Under no circumstances may you “frame” the Beacon Health Options site or any of its content or copy portions of this site to a server, except as part of an Internet service provider’s incidental caching of pages. 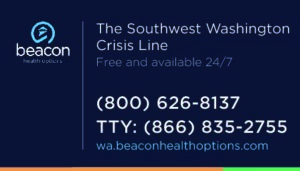 Each page within the Beacon Health Options site must be displayed in full (including all trademarks, branding, advertising and promotional materials), without any accompanying frame, border, margin, design, branding, trademark, advertising or promotional materials not originally displayed on the page within the site. All content of the Beacon Health Options Web site is Copyright © 2000-2001 Value Options®, Inc. All rights reserved.